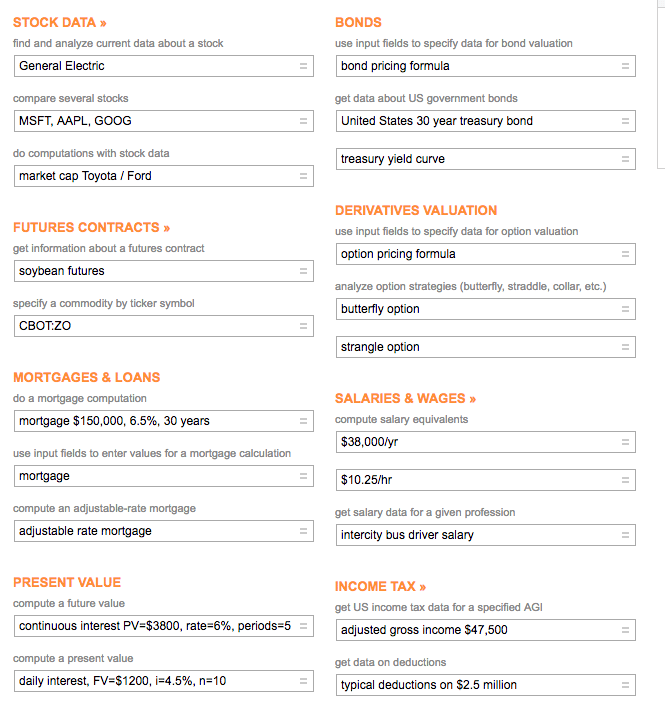 Among my passions, I love to check financial data about companies I like. Recently I was looking for a quick way to get reliable financial information for comparative analyses. At the same time, I was looking for shortcuts to perform that analysis. Wolfram Alpha! That search opened me a universe I wasn’t aware of. Yet that universe wasn’t only about a fantastic tool I learned to use in several ways. I found out the most amazing entrepreneurial story. That is how I jumped in and researched as much as I could about this topic! Why is this story so remarkable? Imagine a kid that as many others, is struggling at arithmetic. Imagine that same kid at 12 years old building a physics dictionary and by the age of 14 drafting three books about particle physics. A few years later at 23, that kid, now a man gets awarded as a prodigious physicist. We could stop this story here, and it would be already one of the most incredible stories you’ll ever hear. That isn’t only the story of Wolfram Alpha, a tool that I learned to use and cherish. That is the story of one of the smartest people of our century, a shrewd entrepreneur, and polymath, which turned to influence and being influenced by people like Steve Jobs and Benoit Mandelbrot. This is the story of Stephen Wolfram. Writing this post for me has been a pleasure and torture. On the one hand, I jumped into Stephen Wolfram’s videos, books, and articles. The more I found out, the more I wanted to know. It was an endless loop. However, the unbounded intelligence of Stephen Wolfram is such that trying to circumscribe it in one post, it is like trying to close the universe in a box. Yet more than a post this is an e-book, and I hope you’ll enjoy reading it as much as I enjoyed writing it! 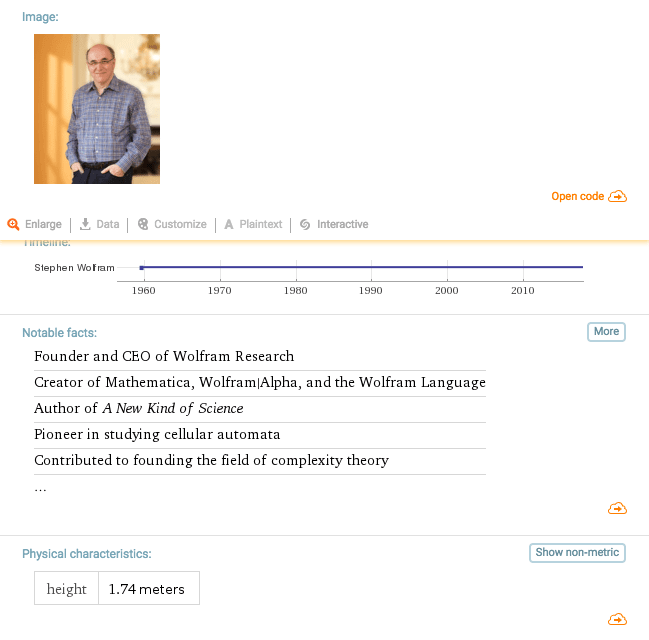 The Quest to Unfold Complexity: who is Stephen Wolfram? Why is it called Mathematica? Computational Irreducibility: how does our universe work according to Stephen Wolfram? 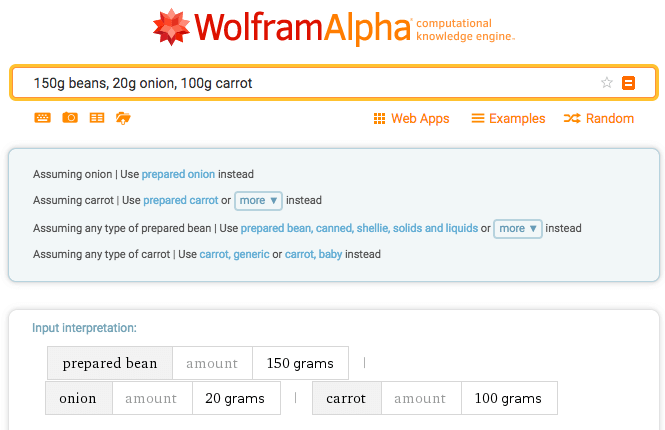 What can you do with Wolfram Alpha? Can you optimize for Wolfram Alpha? Stephen Wolfram is the founder of Wolfram Alpha, a powerful computational engine (more about what a computational engine is later on). Yet the path that brought Stephen Wolfram to the launch of its latest creature looked more like a life-long quest. Born in London in 1959. Stephen Wolfram showed incredible qualities since a young age. In fact, by age 15 he had drafted three physics books and his first scientific paper. By the age of 21, he had received an important fellowship, which launched him on a life-long quest: understanding complex systems by stripping out their complexity. Yet Stephen Wolfram approach was unique for a couple of reasons, I believe. First, he understood that computation was the most compelling discovery of the past century. Therefore, he focused since the beginning of using machines to enhance human abilities. Second, he believed that to understand complexity he had to look at natural processes to find the most essential programs that mother nature used by time to time to run the show of life. Yet Stephen Wolfram didn’t spend his life as a hermit (except when, for practical purposes, he had to put together a book, which would become a New Kind of Science) or isolated from the world. Instead, he understood the importance of more practical matters, such as managing people. The quest to complexity started from the study of cellular automata, which launched him to formulating a computing theory of everything. 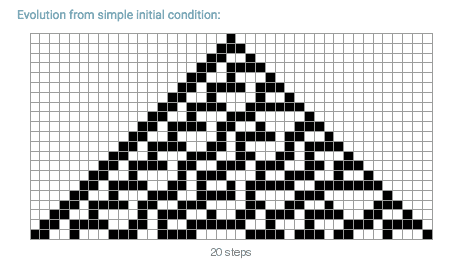 So, what are cellular automata? Cellular automata are programs that follow simple deterministic rules but show complex behaviors, the more steps they take along their evolution. What does that mean and what makes them so valuable from a scientific standpoint? Imagine starting playing a game with fundamental and straightforward rules. Chances are you’ll start projecting yourself at the end of the game, foreseeing a particular scenario. However, as much as you would love to imagine, even if you had Albert Einstein‘s or Salvador Dali’s ability to day-dream you will never manage to foresee the complex behaviors that will arise along the way from those trivial programs. How is that possible that from such simple programs spring up so much complexity of behavior? The answer lies in rule number 30! Let’s dive a bit into it to see how it works. It probably was the summer of 1985 – as recalled in Idea Makers – when Steve Wolfram stumbled upon something that would leave a mark on his life and guide him toward a life-long quest. What was that? It all started from rule number 30. As someone that found computation as the most important discovery of the past century Stephen Wolfram didn’t waste time doing calculations. Rather he let computers run all the possible programs that could be found in nature, as simple cellular automata and look at what behaviors they would show. A simple rule determines whether a cell will be on or off in the next generation based on the configuration of its neighborhood. For instance, if a cell is white, and the one on its left and right are white, then the cell stays white. Instead, if a white cell falls in-between two black cells, then it turns black. And so on for all the possible arrangements. The possible configurations on a grid comprised of three cells as you can see from the red rectangle above are eight. But the possible combinations, given the fact that each cell can be either black or white (in a binary state) can be 256 – 2 ^ 8 (therefore the two possible states, black or white, at the power of the eight possible combinations). We can see already a more complex behavior so far. Yet nothing exciting. When we start taking additional steps, the more steps we take, the more complexity arises. That is what we get after 100 steps. As you can see the patterns created by a simple cellular automaton starts to become kind of interesting. When in the 1980s Stephen Wolfram observed this kind of behavior he was shocked. That kind of shock that changes your life, the aha moment! In fact, the more steps he let rule 30 take, the more complexity arose out of simple deterministic rules! The fact that simple rules could replicate nature is pretty counter-intuitive, yet quite effective. The most powerful part is that to build such complexity you don’t need a super powerful computer, but only a three-digit number grid that follows super simple rules. Rule number 30 above all, was the beginning of a quest that would lead Stephen Wolfram to formulate a New Kind of Science. It also opens up a new way of thinking, where intelligence isn’t solely a human thing, but it can be found anywhere in nature. Therefore, the complexity arising from our brain isn’t different from what happens in nature. Both are described well by computations. Before we dive more into what would become the principles of Stephen Wolfram’s book, A New Kind of Science, let’s dive more into his life. If you’ve been using the iPhone, chances are you’ve also been using Wolfram Alpha all along. In fact, you may not know it, but your built-in intelligent assistant, Siri, uses Wolfram Alpha’s API to provide answers to any question. Yet before we dive into the technical stuff, how did it all start? From studying Stephen Wolfram’s life, I understood one fundamental concept, which before was a bit elusive for me. In short, technologies, ideas, and enterprises don’t come in isolation. More often than not they spring up from people’s lives context. In other words, if you want to understand an idea or a technology better probably the best place to start isn’t how it works but how it originated in that person’s mind. Also before that, you may want to investigate what, who, where and when inspired those ideas, if you want to understand the why. 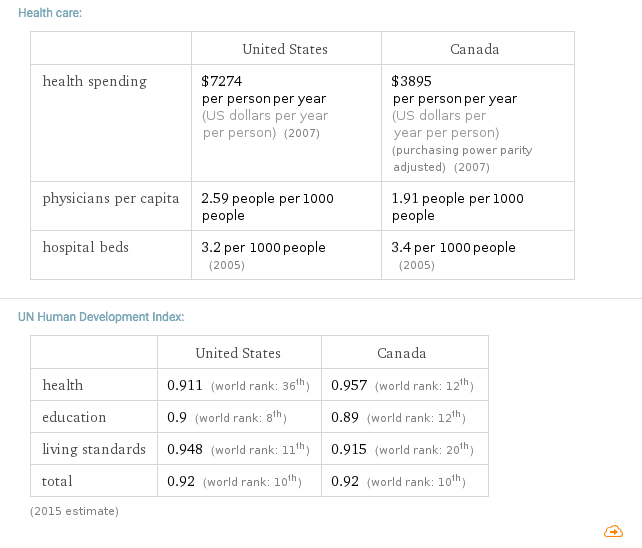 As trivial as it may sound, I ended up discovering quite a few interesting facts by using Stephen Wolfram’s approach. The paradox is that his approach helped me to better understand him as a person, therefore as an entrepreneur and scientist. It all started from a life-long friendship with an incredible man, which for better or for worse (according to your perspective) revolutionized our times, Steve Jobs. According to Stephen Wolfram, in his book Idea Makers, he first met Steve Jobs back in 1987. 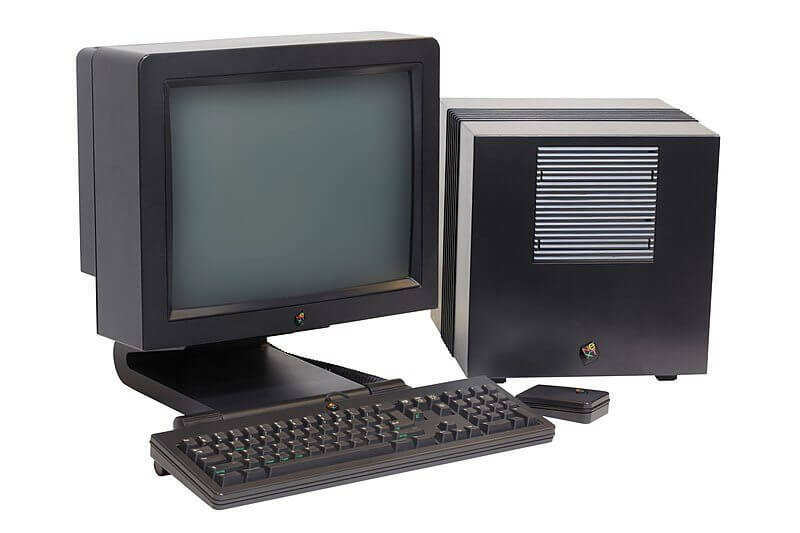 At that time Steve Jobs was focused on building what would become the first NeXT computer. In fact, business magnate Ross Perot, founder of Electronic Data Systems, which was sold to General Electric in 1984 for $2.4 billion had enough liquidity to make risky investments. Therefore, in 1987 Perot invested $20 million, in Steve Jobs‘ startup, NeXT, which although valued about $125 million hadn’t yet released any product. In 1996 Apple bought NeXT for $429 million. After that, when Steve Jobs, in July 1997 took back the reins of Apple, NeXT experience played a vital role. In fact, Steve Jobs installed his NeXT executive team at Apple. Goin back to our story, at the time (1987) Stephen Wolfram was as busy in figuring out the details of what would later become his first company, Mathematica. It turns out that in a way or another Steve Jobs played a key role in Stephen Wolfram’s company success and vice-versa. According to Stephen Wolfram, Jobs had a theory about company’s names. In short, you start with a very generic concept, and then you romanticize it. That is where Mathematica came from. Mathematica is a software that does scientific computations of any kind. From data analysis to visualizations and much more, Mathematica laid the foundations for what would later become Wolfram Alpha. One interesting fact is that Mathematica walked hand in hand with NeXT. In fact, Steve Jobs intuition made him realize that each NeXT should have been bundled with Mathematica and that is what happened. The most interesting part of the story – as explained by Stephen Wolfram in Idea Makers – is that a batch of NeXT computers would later be given to the CERN of Geneva. In other words, NeXT computers bundled with Mathematica happened to be the computers used to develop the web! Yet between Mathematica and the launch of Wolfram Alpha, Stephen Wolfram put together the ideas he had observed throughout his scientific discoveries, in a controversial book, A New Kind of Science. Stephen Wolfram’s A New Kind of Science is a remarkable book in many ways. It is certainly the most arrogant piece of science writing I have ever read. It also displays a jaw-dropping ignorance of some key issues, of which more later. Yet, despite its shortcomings, it may be the most important contribution to science this decade. Throughout my research, I’ve come to “know” Stephen Wolfram at a personal level (take it with a pinch of salt). Since the beginning, I tried to keep a neutral view about him. Yet I found his ideas original and refreshing in many ways. Of course, it can be argued that his ego is massive. However, if you look at his life, you realize that he’s one of the greatest minds of our times. It is very hard to understand how a person is contributing to our history until that person is no longer alive. We love to look at things with a nostalgic eye. That is why things from the past always have this halo that makes them look almost mystic and mysterious. That is why when you see Stephen Wolfram comparing himself to Isaac Newtown you get the goosebumps. Only time will tell us what impact Stephen Wolfram’s ideas will have. Going back to A New Kind of Science, one of the people who contributed to Stephen Wolfram’s growth was physicist Richard Feynman. Although they had two very different mindsets, they shared a common passion, physics. They met when Stephen Wolfram was 18, while Richard Feynman was 60. Stephen Wolfram first met Richard Feynman at Caltech. After that they also worked together for a company called Thinking Machines Corporation (once a successful tech company then bankrupted in 1994). Richard Feynman loved to do calculations for the sake of feeling the pleasure of discovery. Stephen Wolfram instead, loved to automate processes for the sake of understanding the principles underlying, so that unknown would eventually become more relatable. 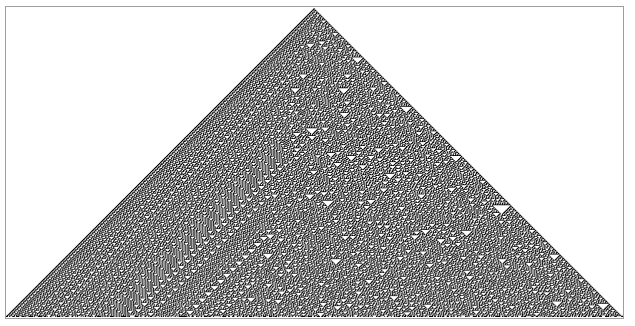 Let’s dive into a couple of core principles from Stephen Wolfram’s book. As Stephen Wolfram reminds us nature has no constraints when it comes to computation. In other words, mother nature can pick up whatever “little computational program” exist out there to start building complex stuff. However, that complexity always springs from a low level of sophistication, which is equal for all the “programs” that you can ever find in nature. In other words, it doesn’t matter how complicated the outcome or a process it seems. What’s behind it are always relatively simple deterministic rules! Why is this principle staggering in a way? If you didn’t realize, this principle contradicts something which humans always believed to be true. The fact that something complex is at its root complex. Also that in some way our intelligence us unique or in some way distinct from any other natural process. Therefore, many technological inventions often carry the heavy baggage of history. That also brings us toward another pillar of the New Kind of Science: computational irreducibility. If complexity in nature arises from simple deterministic rules, does that mean that if we figure out those simple rules, we will also be able to predict the outcome of the system? The answer to that is controversial. 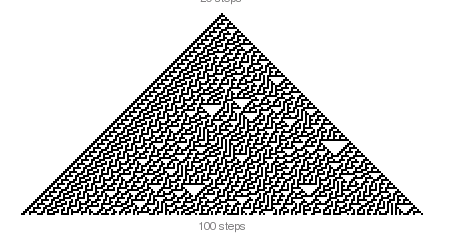 According to Stephen Wolfram’s computational irreducibility, we won’t be able to out-compute a system unless we take each step of it. In short, it doesn’t matter if you’re able to understand the underlying deterministic rules that are behind a complex system. If you don’t follow how the system evolves at each stage, you won’t be able to know what the output of that system will be. Therefore, you will not be able to predict its behavior. In part, this is reassuring as it gives us back our free will. Why? For most cases, we don’t have a choice but wait and see how the behavior unfolds. However, this isn’t always true. As Stephen Wolfram suggests for certain processes, there are always endless of what he calls “pockets of reducibility” which allow at least some kind of predictions. Now that we covered most of Stephen Wolfram’s life, and how his mains ideas formed, we can look more at the entrepreneurial side of the story. On May 18, 2009, finally, Wolfram Alpha launch was announced. At the eye of the average onlooker that seemed the start of something entirely new. Yet instead, it was only the next stage in the evolution of Stephen Wolfram’s research he had put together throughout his whole life. 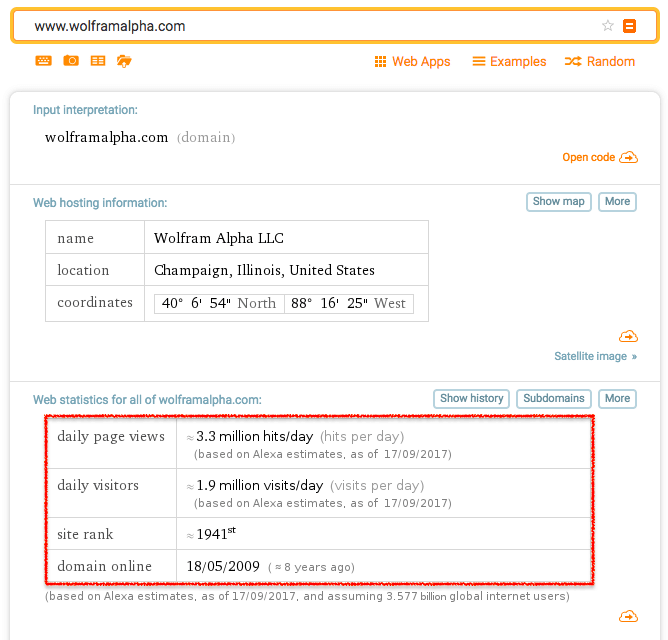 In fact, Wolfram Alpha was launched as a spin-off of Wolfram Research, Inc., the company that developed Mathematica back in 1986. 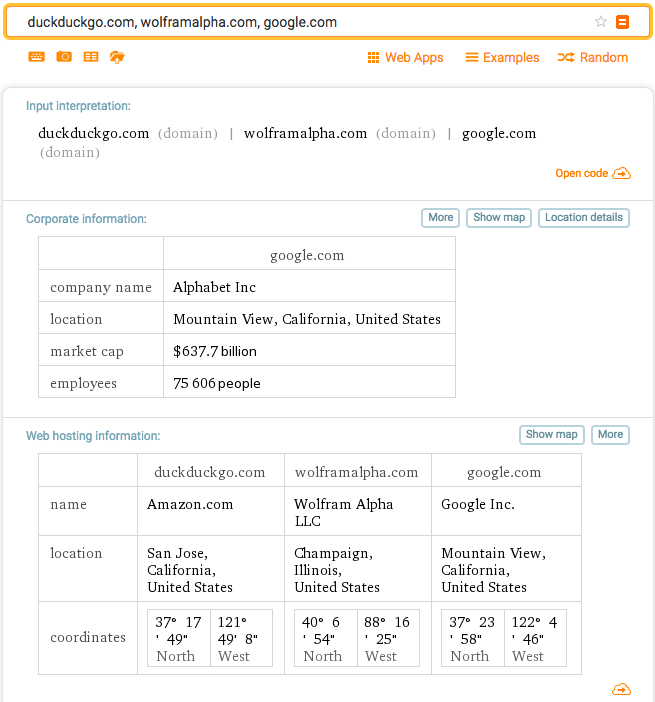 As an LLC Wolfram Alpha was launched without outside investments. When you surf the web, you use search engines. For instance, each time you ask something to Google, it is providing you answers based on what it finds by crawling, indexing and ranking the web pages available. Eventually, you will get links to pages that exist on the web. Those pages though are manufactured by other humans. Wolfram Alpha instead, computes answers to specific questions using its knowledge base and algorithms. 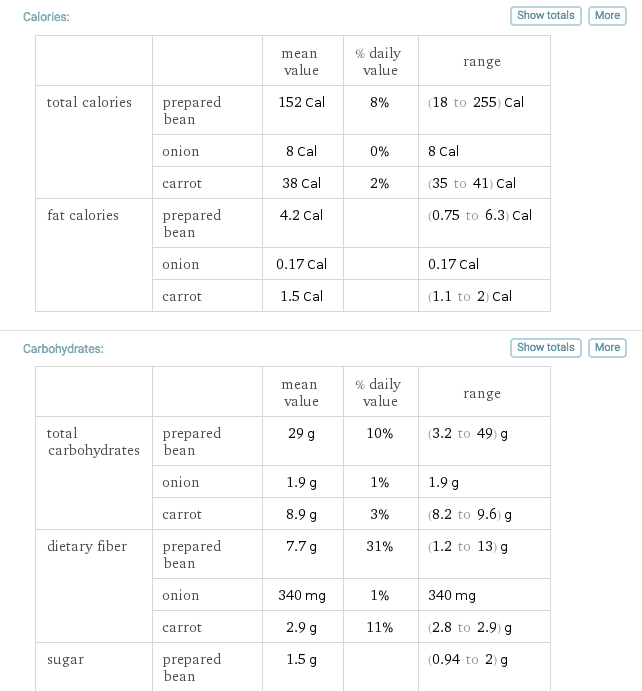 You may think that Wolfram Alpha is more like a fact-based engine. And in fact, compared to Wikipedia, it gives facts not narratives. In short, Wolfram Alpha goes into its internal knowledge base, made of several official sources and curated data and computes the answers, based on which ones seemed to be the most appropriate for the query. The answer to a query comes from an algorithmic computation that looks into the internal knowledge base, with its extensive internal semantics and ontology. To read the users’ queries, Wolfram Alpha does not use traditional NLP because it has to deal with linguistic fragments rather than full grammatical sentences. 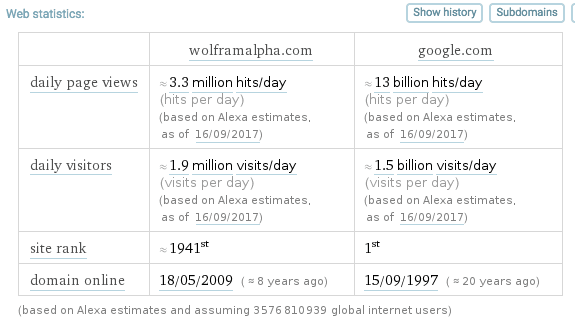 Currently Wolfram Alpha comprises more than 10 million lines of symbolic Mathematica code, together with many terabytes of data. 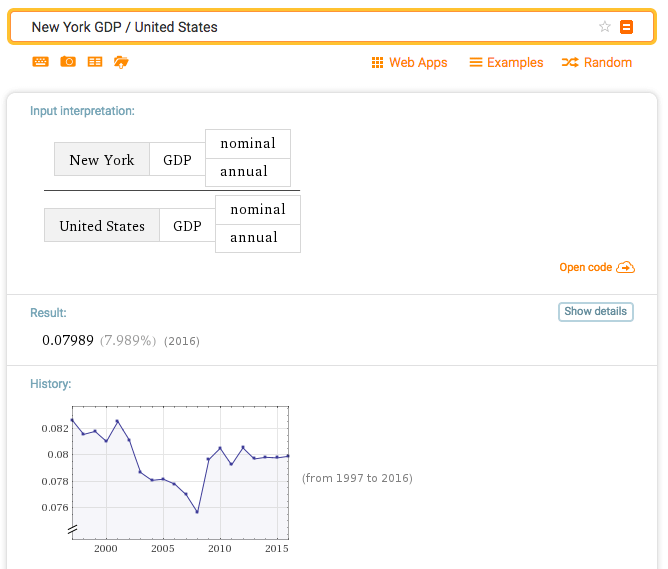 When you type your queries into Wolfram Alpha, you’re making it better and better. In fact, it looks at the user behavior to understand more about linguistic and compute better answers. Each App ranges from $0.99 up to $2.99 (even though I can see that on the European App Sore some apps are priced around €3.49, about $4.16). Therefore, its business model is based on selling these apps. How much money are they making with that? It is very hard to give this answer considering that I couldn’t find any announcement from the company stating how much money they are making. I used Similar Web to understand how many installs the main app had. Assuming that each install is a paying customer they made on that single app anywhere from $1.5 up to $3 million for a single app. My assumption (take this premise like a pinch of salt) is that overall the other apps may have paid off about the same. Therefore, if I have to give a rough estimate, I would say they made anywhere from $1 million up to $5 million on all the apps they sold so far. API: those are a set of prepackaged instructions to integrate an application within another platform. For instance, as we saw throughout this research, the iPhone and other Apple devices use Wolfram Alpha API to make their built-in intelligent assistant, Siri, provide the answers to its users. I believe this is where most of the company’s revenues come from. 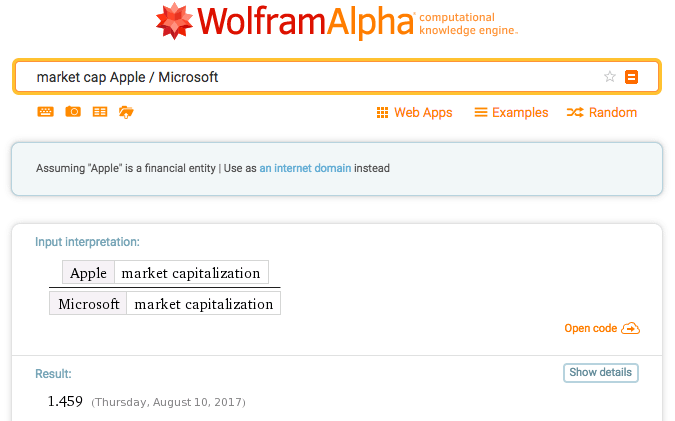 In fact, if I had a business that has to offer a certain amount of computational power to my users I would use Wolfram Alpha rather than going through the process of developing a new stack of technologies. Now, the hardest question. 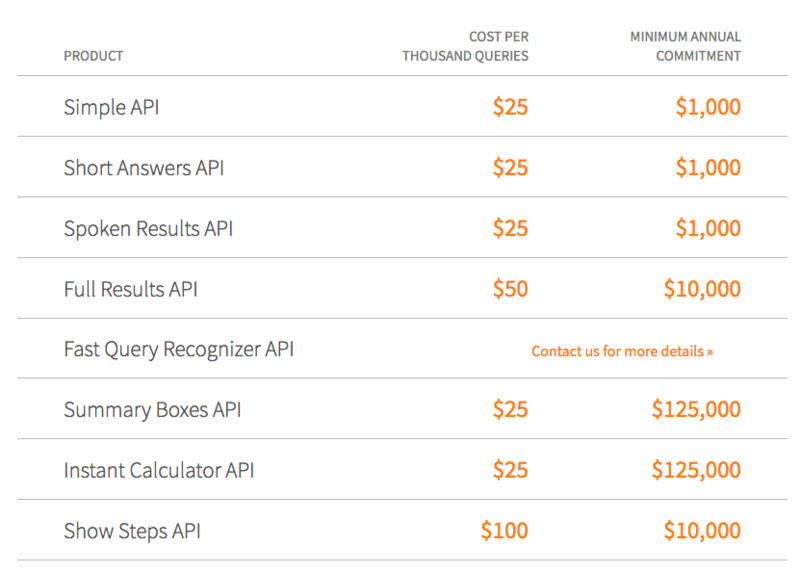 How much money does Wolfram Alpha make with its API? I assume that Apple is Wolfram Alpha largest client. If back in 2012, Siri’s queries drove 25% of Wolfram Alpha, if this still holds true we can run some rough estimates. If there are 3.3 million hits per day, if we assume a hit is a query, then there are about 825,000 queries coming from Siri, which translates into about 825 API calls by a thousand queries per day. If we assume that Siri calls are “Full Results API” this means that they are priced $50 per thousand calls, which would cost over $15 million annually. 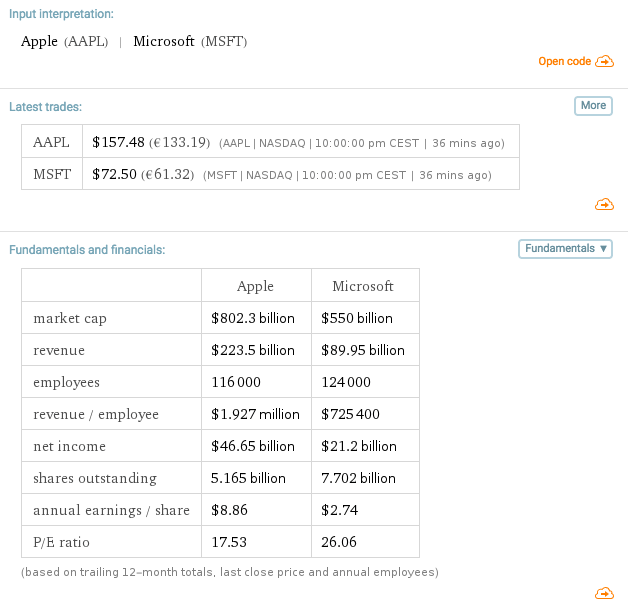 I don’t think Apple is paying Wolfram Alpha that much for several reasons. First, being featured in Siri is already free marketing for Wolfram Alpha. Second, the more API calls you buy, the better deal you will get. 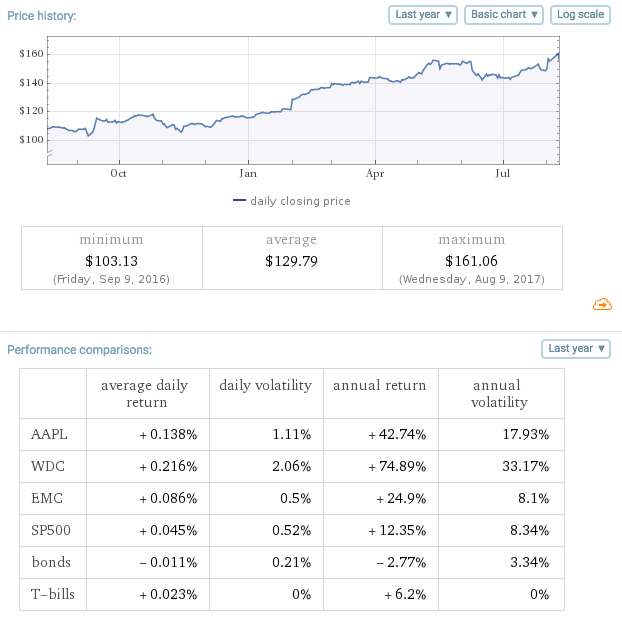 Therefore, I believe if ever Apple does pay Wolfram Alpha, the price it pays is well below the $50 mark per a thousand. 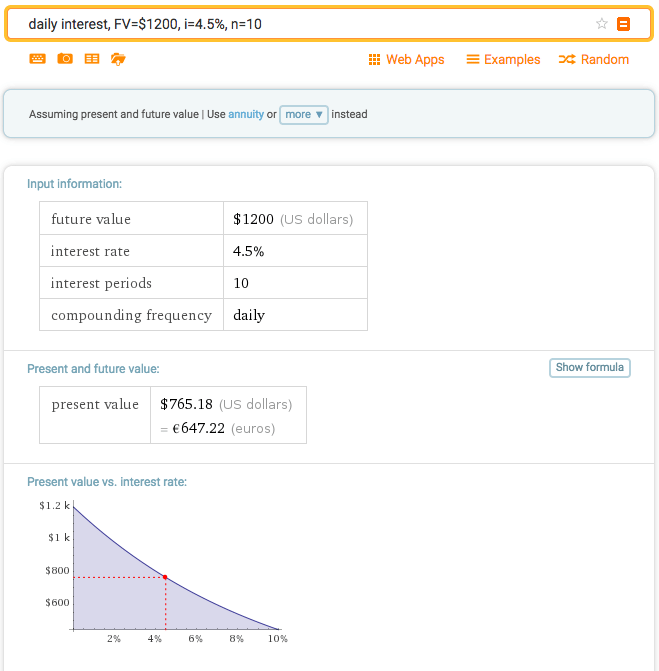 However, I do believe that the API is the most important part of Wolfram Alpha business. Also, apparently Siri isn’t the only intelligent assistant powered by Wolfram Alpha. In fact, Cortana may be using it too. It’s impossible to determine the exact number of PRO users since they don’t share that info. However, since Wolfram Alpha is a Freemium, we can assume that their rate of conversion may be anywhere from 0.5% up to 27%. 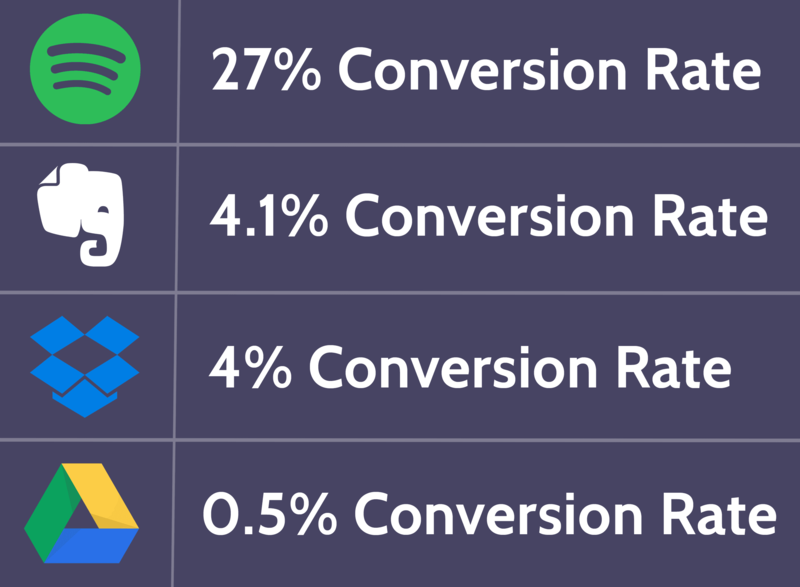 Let’s assume the lowest conversion rate, 0.5%, which means that Wolfram Alpha (I don’t see any strategy which is focused on improving its conversion rates) might have about ten thousand paying customers each year (0,5% times 1.9 million daily visitors, assuming they are returning). It means about $77,400 in revenue each year (I took the average of the two packages, student for $5.49 and educator for $9.99, and multiplied it by 10,000, the number of paying customers each year. This is how the Wolfram Alpha business model is organized. I’m not going to do crazy calculations to figure this out. 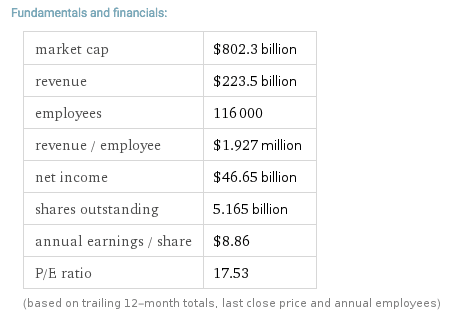 Since for a software company the greatest cost is related to its personnel, according to CrunchBase, Wolfram Alpha has about 19 employees, including Stephen Wolfram as a founder. I will never stop saying, my analysis is full of assumptions and estimates based on those. Therefore, take it as an attempt to put a $ on a company that I didn’t know anything about before. Nothing more! 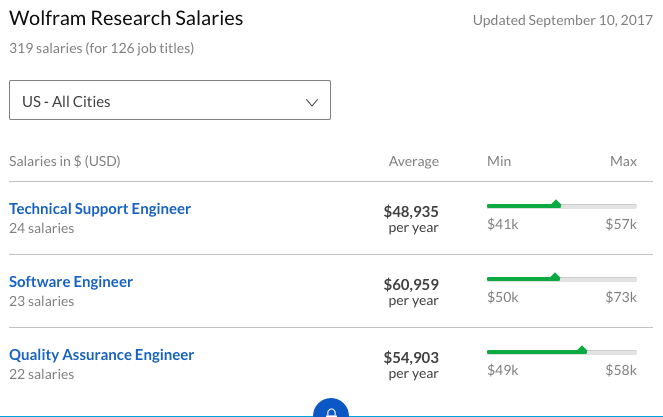 Since in Wolfram Alpha, most profiles are senior, thus above the average I will estimate the average salary to be 30% above of a Software Engineer. In short, it will be around $80k per year. Taking this into account the total annual estimated costs are $1.6 million (I assume that Stephen Wolfram gets paid like any other employee at least at Wolfram Alpha). 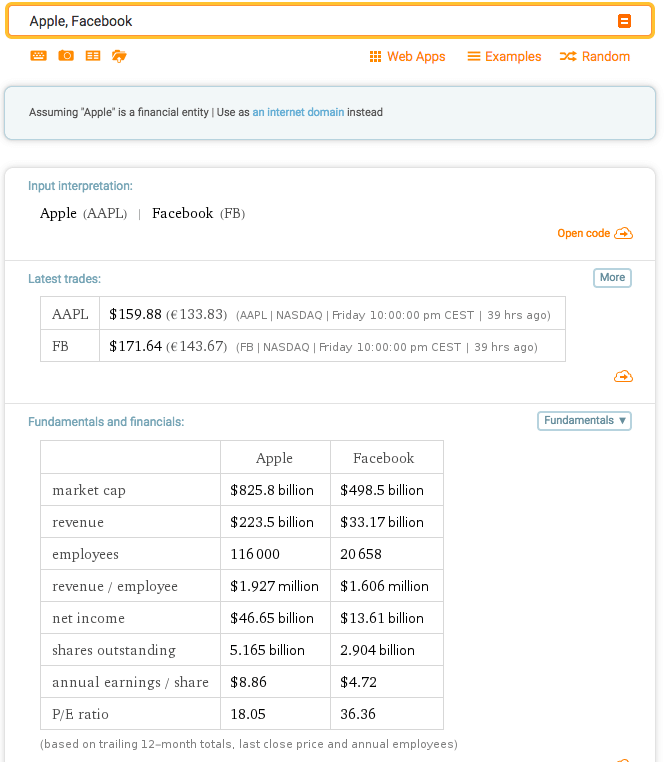 If we take the total estimated revenues by accounting only for the API paid by Apple, $15 million per year and the total estimated costs of its employees, $1.6 million, then the company is profitable! 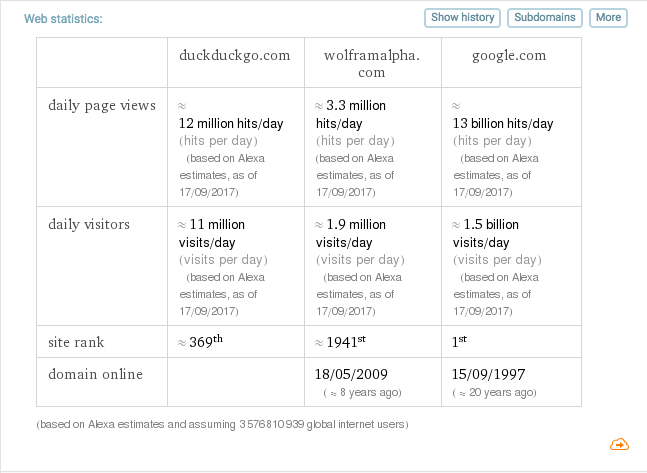 It has often been said that Wolfram Alpha is challenging Google. For how I love this perspective, those companies have two opposite approach to business. 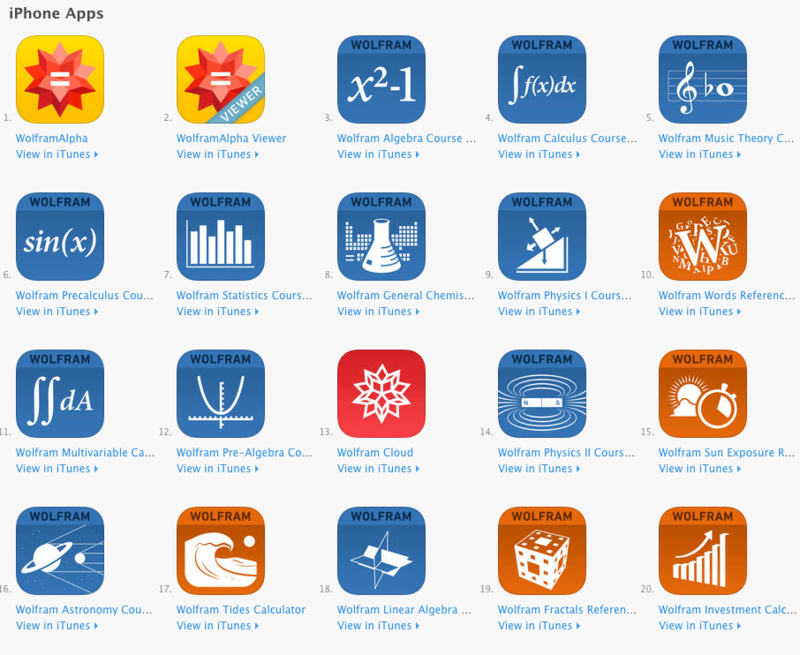 As we saw, Wolfram Alpha makes money by selling its premium version, its API, and its apps. 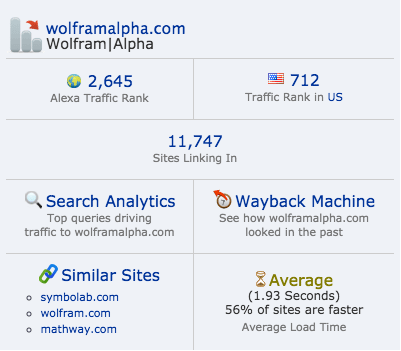 In short, Wolfram Alpha is a niche engine compared to Google. Will it go mainstream? I believe it will, and it already did. But most people don’t and won’t know that. As we saw Siri uses Wolfram Alpha API, yet only a small percentage of iPhone users know that. 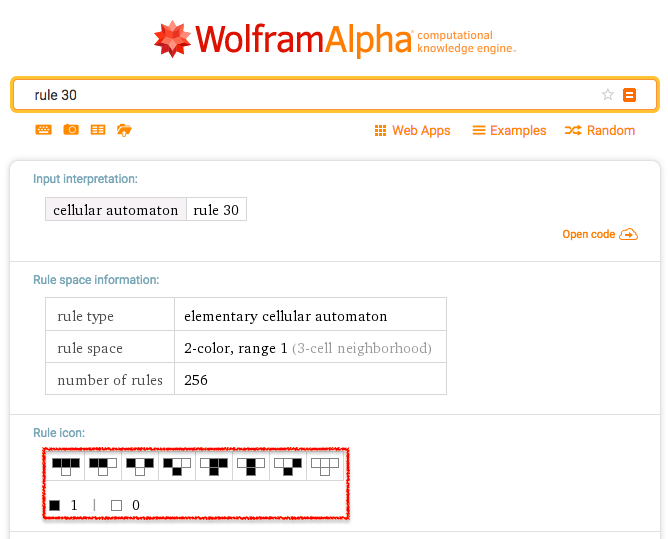 There is a multitude of ways you can use Wolfram Alpha, once you understand its basics. Math, physics, and statistics are useful for researchers. Yet there are quite a few practical things you can do either if you work in the financial field but also as a digital marketer. 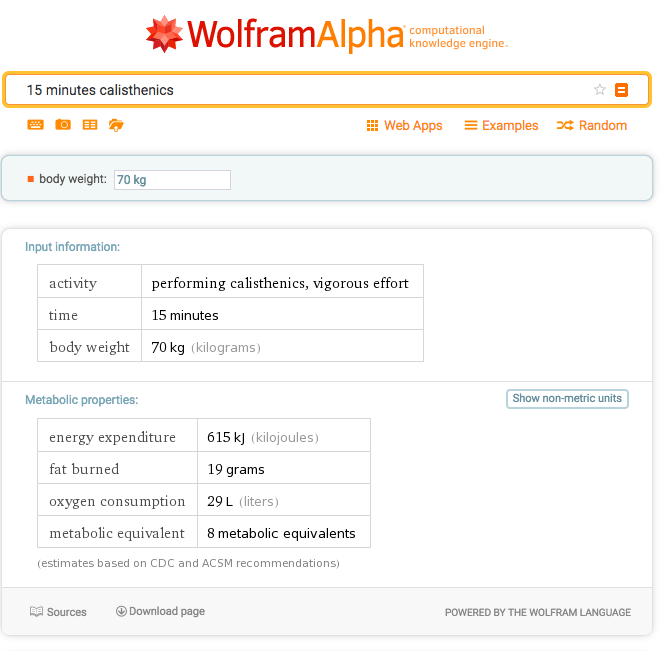 Now that we saw quite a few things you can do with Wolfram Alpha let’s investigate a bit more. What about your content? 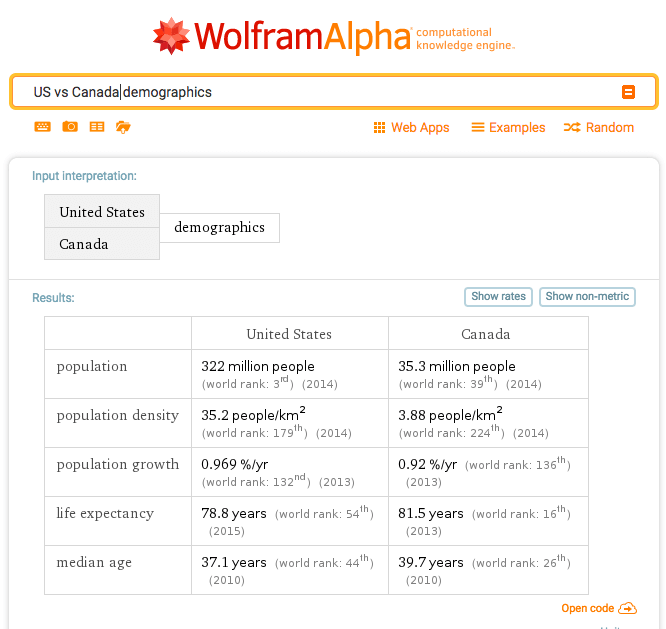 Can the content on your website be optimised for Wolfram Alpha? The answer I believe is not! 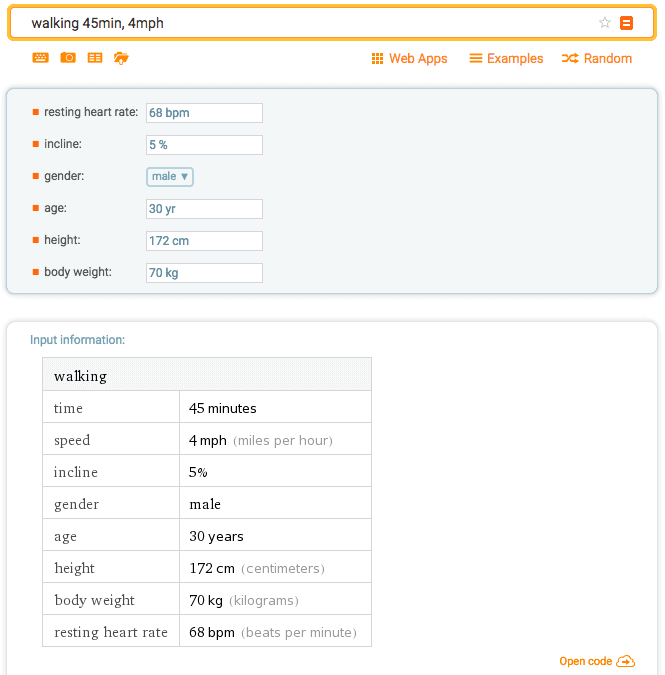 Wolfram Alpha is a computation engine. That means that also when a source, like Wikipedia, is taken into account, it is stripped of its narrative to show what can be considered as facts. In other words, as we saw Wolfram Alpha doesn’t crawl the web as Google does. But it has an internal knowledge base, which is updated and curated by time to time. Also, let’s say that Wolfram Alpha can compute an answer from a piece of extract coming from a web page of your site. 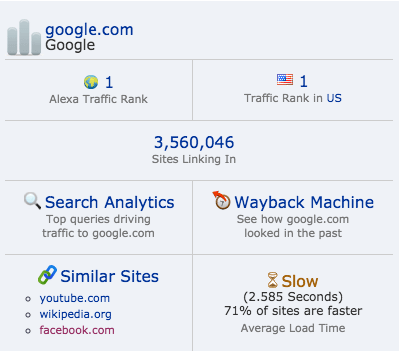 Even though it does so, this will not translate in traffic or domain authority back to your site. Why? 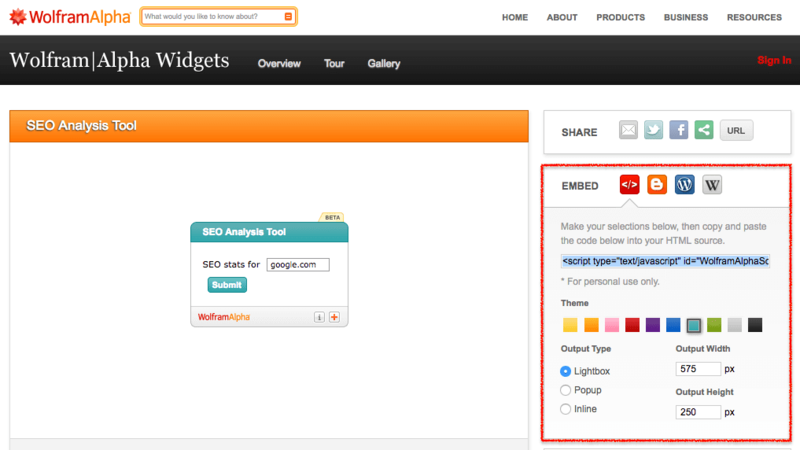 Because Wolfram Alpha does not provide links or backlinks, the foundation for other search engines. Let’s look not at the practical side. A search engine is just a tool that matches your query with data that is linked and provided by other users and sources. 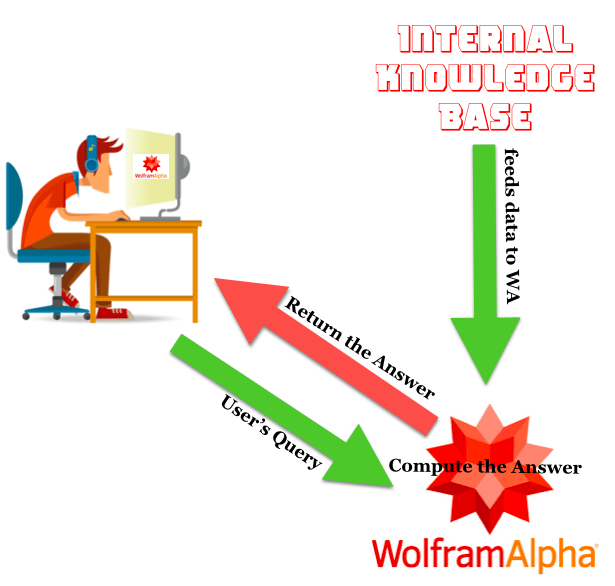 Instead, a computational knowledge engine, like Wolfram Alpha (WA) takes raw data and makes computation out of it. There’s a huge difference between the two. In fact, while a search engine might be useful, a computational engine can become your best ally to track, measure and improve your health! Great, but I want to know more! I would never think as myself overweight. Yet WA is telling me I have to lose about two kilograms. Not bad after all. 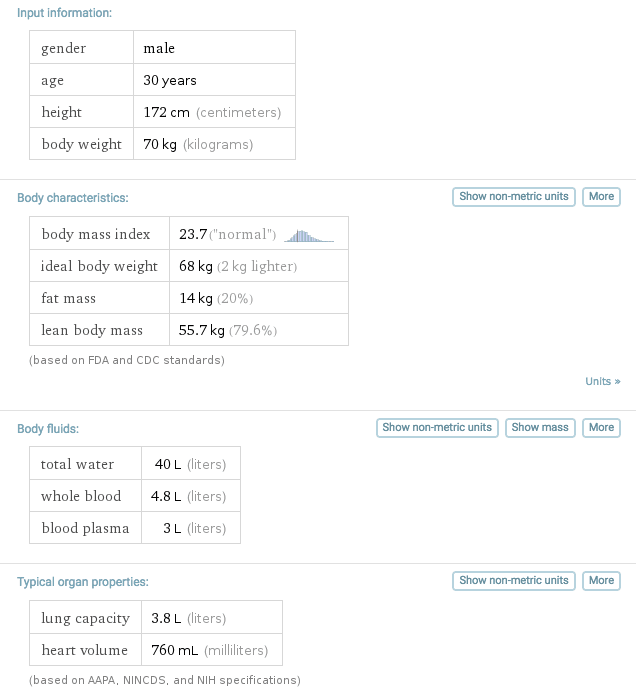 Keeping in mind that the body mass index is a very general measure, I can still lose some weight. You know what? I’m going to eat a soup today, and I want to ask WA how healthy that is. That is great; I will have a nutrient meal with a few calories. That should bring me back to my optimal weight. What else? 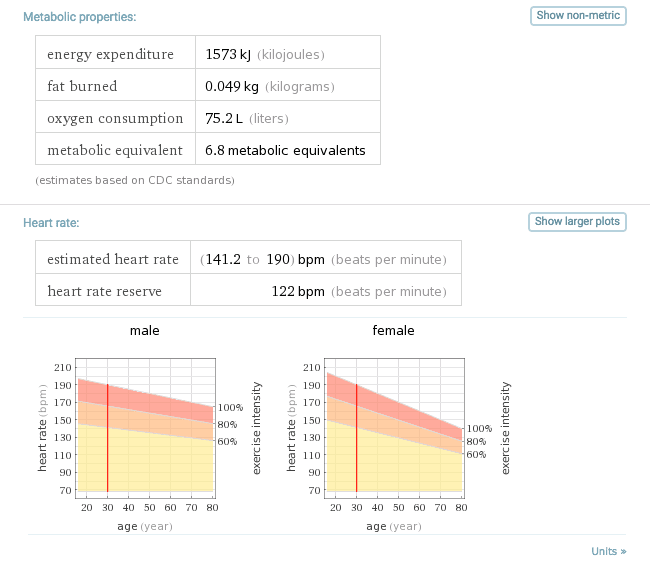 In conclusion, Wolfram Alpha is a computational knowledge engine that based on the raw data you input gives you back valuable insights that you can use to improve your health and your life! 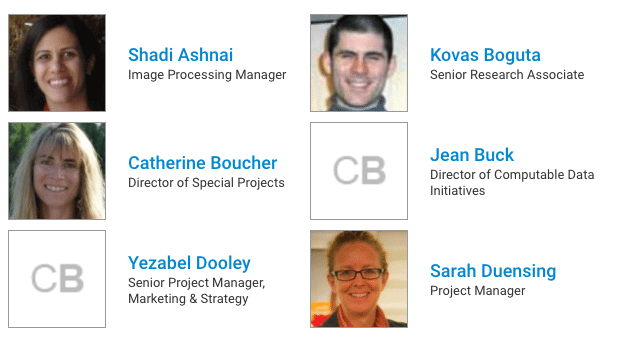 If you’re a finance professional having financial data at your fingertips is gold. There’s good news for you. 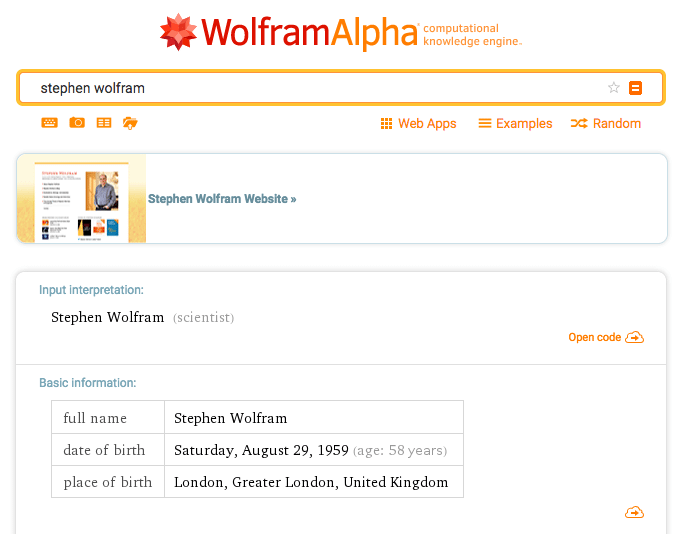 From now on for your analyses, you can use Wolfram Alpha (WA). A Computational Knowledge Engine that allows you to do a multitude of things. What’s the difference between WA and a search engine, like Google? A search engine is just a tool that matches your query with data that is linked and provided by other users. Instead, a computational knowledge engine, like Wolfram Alpha takes raw data and makes computation out of it. There’s a huge difference between the two. While a search engine might be useful for the finance professional; A computational engine can become a real powerhouse! 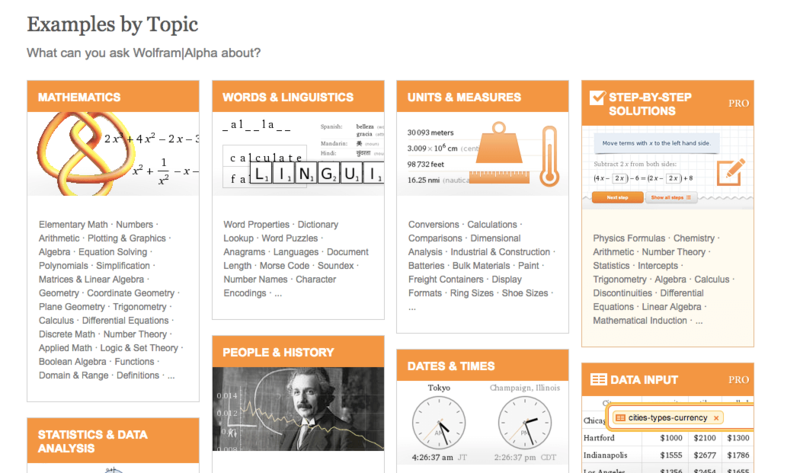 How does Wolfram Alpha work? Let me show you a few things you can do with it that can boost your career right now! Ok, not impressed yet? Let’s perform a comparative fundamental analysis in a few seconds! 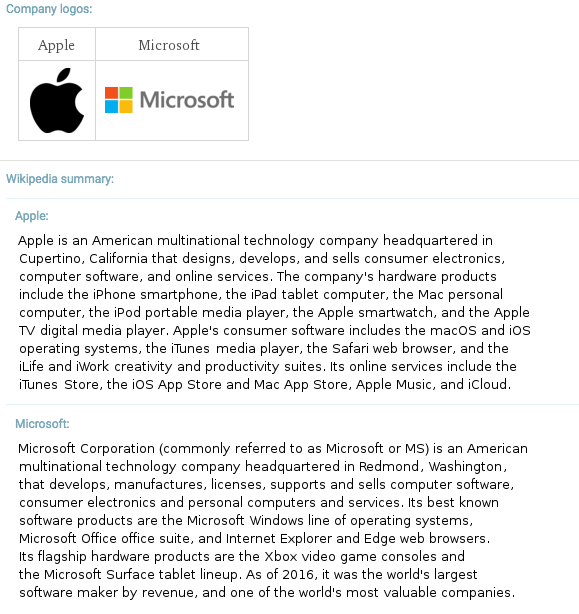 In the same query “Apple vs Microsoft” at the bottom of the page, you’ll also find the historical comparison, which is extremely useful. If you’re like me, after seeing this you should already be very excited. We deal with numbers, so we have to leave emotions aside and get our composure back. It’s time to use this tool to its maximum potential! With this logic, you can compute anything. From macroeconomic values to comparative analyses of companies or currencies and commodities. It’s really up to you and the kind of financial analysis you are performing. In the financial world, anyone is familiar with the concept of time value of money. 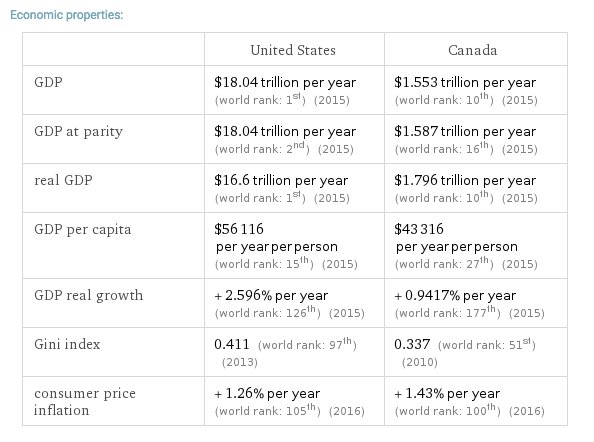 Time value tells us that a dollar today is worth more than a dollar tomorrow. What does that mean? It means that when you have a sum of money today. That amount could be invested to earn more money through interests. At the same time, that amount of money could also lose value due to inflation. Therefore, you need to strike a balance between the two to make sure that your money in the future will be worth more. To know how much is worth today a sum of money invested in the future at a given rate of return, I have to compute its present value (PV). There are endless possibilities in using this incredible tool. It is really up to you, the analysis you’re drafting and the creativity on how to perform it. Throughout this story, we saw the life of one of the most interesting people of our times. Since a young age, he showed keen interest and talent for physics. Yet instead of pursuing only its interests in physics and philosophy Stephen Wolfram became a successful entrepreneur. He managed to build from scratch Mathematica, a company bundled with NeXT. Also, he managed to take time to reflect and understand the consequences of his earlier studies on cellular automata to create a framework, which would become a New Kind of Science. If that was not enough, Stephen Wolfram realized it was time to democratize math and bring it to the masses. That is what he did when he launched Wolfram Alpha, which as we saw is an incredible tool that can be used in a variety of ways. It is almost like having Einstein in your pocket. With the main difference that Wolfram Alpha never sleeps. 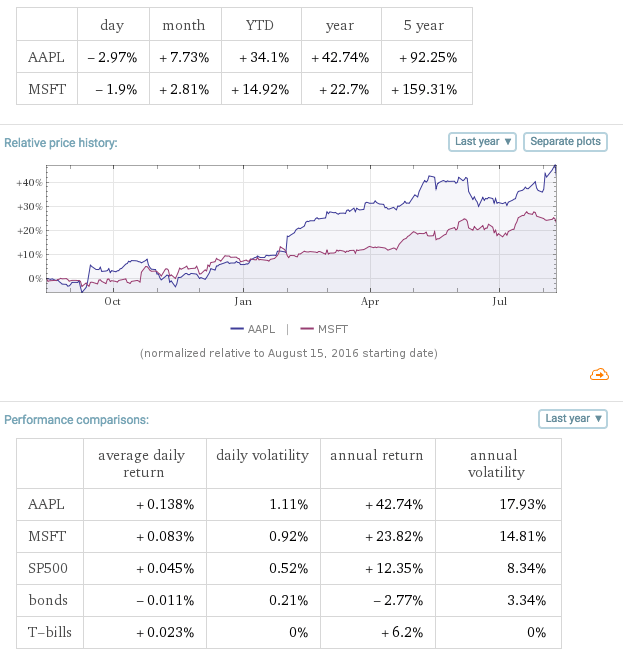 Not only Wolfram Alpha >;is a great tool but also a profitable company (if my assumptions are correct). You may like or dislike Stephen Wolfram’s personality. One thing is sure; he’s making a difference in many fields. At the end of it all if he’s right on computational irreducibility there’s only one way to know how much Stephen Wolfram has contributed to humankind, time! The main thing we humans do that can’t meaningfully be automated is to decide what we ultimately want to do. Human goals will certainly evolve, and the things people will think are the best possible things to do in the future may well be things we don’t even have words for yet.